Sometimes road trips don’t go exactly as planned, but that’s all part of the adventure. Lets’ just say that’s how we ended up in Rock Springs, WY. To be honest, before our visit I gave very little thought to this Southern Wyoming town. but after a “less-than-accurate” weather forecast, Rock Springs became our unexpected home for the night. So, since we were stuck there I did a little research to see if there was any place interesting to visit in the area. Granted we really weren’t interested in venturing too far from the city center (let’s just say we didn’t trust the weather forecast); but the little Rock Springs Historical Museum (https://www.rswy.net/department/?fDD=2-0) sounded like it might be a worthwhile stop. 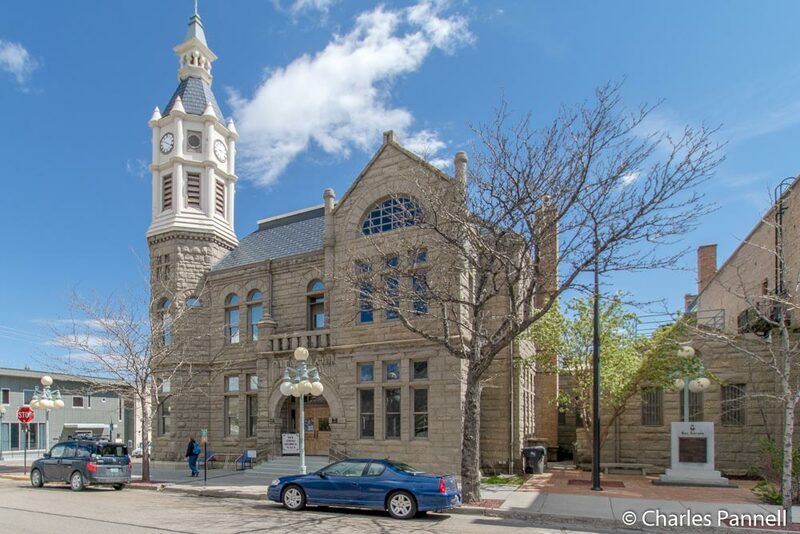 The museum is housed in the former City Hall and Fire Department — a building that was funded entirely from the revenues of local liquor licenses. And considering the size and scope of the multi-story sandstone structure (it has a 14-foot foundation), that says something about the local drinking habits back in the late 1800s. After all, it was the wild west! And according to the museum, they had a passel of bars in town, including The Oxford, which is reputed to be the last hiding spot of Butch Cassidy, before he hightailed it to South America. Butch and the gang were known to frequent the town; in fact he picked up his nickname there while he was employed as a butcher. There’s an interesting exhibit on the gang and their local connections, on the first floor next to the old jail. The museum also highlights the history of coal mining in town, and includes a number of old tools, photos, and mining supplies. 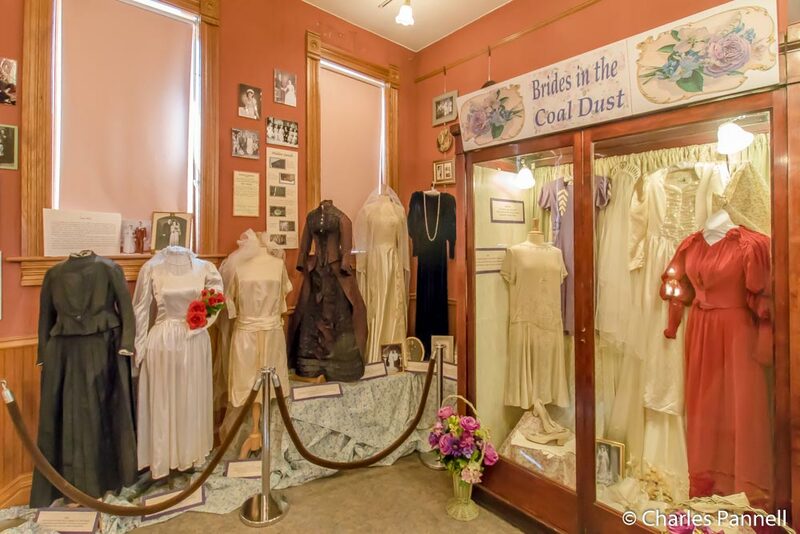 There’s also an interesting exhibit on the second floor about “Brides in the Coal Dust”, which debunks the myth that the women only bathed once a year (in May), so they’d be fresh for those June weddings. The balance of the second floor includes an eclectic collection of old household wares, tools, military uniforms and some interesting tid bits about the town. For example, the Fountain Club – a favorite watering hole — had a bar on the first floor and a church upstairs, and it was known as the place that boasted “spirits above and spirits below”. Access is pretty decent throughout the museum too, with barrier-free access around most of the exhibits. Accessible street parking is available on Broadway, and there’s a level pathway to the accessible entrance on C Street (in back of the museum). Patrons do have to ring a doorbell to be admitted at the accessible entrance, but the receptionist is nearby so there’s really no wait. There’s also elevator access to all floors of the museum. All in all it was a fun diversion, and as an added bonus, there’s no admission charge. Even if you don’t have time to go through the museum, make sure and stop and take a gander at the historic building. And no, the clock on the bell tower is not broken – the clock never had any inner workings, so it’s always 8:20 in Rock Springs, WY! This entry was posted in Attractions, Museums, Road Trips and tagged Butch Cassidy, coal, free, history, museum, road trip, rock springs, Wyoming by Candy B. Harrington. Bookmark the permalink.